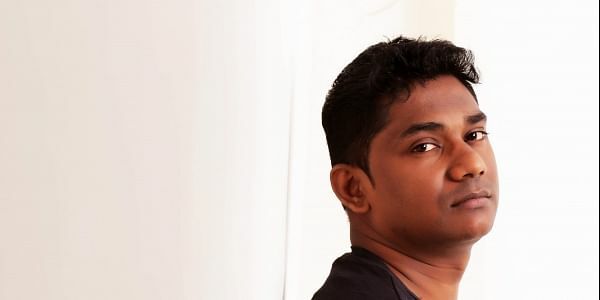 CS Sam, the composer of Gayathri-Pushkar’s upcoming Vikram Vedha, starring Madhavan and Vijay Sethupathi, thinks the film will take him to great heights. Vikram Vedha’s songs are quite the rage on social media. Its composer, the relatively unknown CS Sam, is proud of his work. "It’s a story where the unexpected happens at every turn. And I owe all my good work to the freedom that directors Pushkar-Gayathri gave me," he says. The composer says he could imagine most of his background score playing in his head, even as the directors narrated the script. "It’s a dark thriller, and to complement the script, I’ve experimented a lot with the instruments. I’ve worked with an orchestra team from Los Angeles, and there’s a real attempt to make the sounds feel real," he says. So important is the background score to the film that much like in Hollywood films, the lead actors, Madhavan and Vijay Sethupathi, would often hear the music, and then, begin shooting, so they could get the emotions right. "But I don’t think they really play to the gallery, and it’s a credit to the artistes that they are that they didn’t really intervene in music selection either,"says Sam, who debuted as a composer in Vijay Sethupathi’s Puriyatha Puthir. "I’m confident that Vikram Vedha will take me to great heights." Originally, the plan was to have only background score, and do away with songs entirely. But Sam insisted as he believes that "songs are the one true way to convey characters’ emotions most effectively", and he’s glad he did. "Each of the five numbers serve to establish the mood of the characters. My pick of the album is Tasakku Tasakku, performed by a group of singers who are all beatboxing," he says. But the song that’s most popular on social media is the one that’s used prominently in the trailer as well, Karuppu Vellai. "I also think the audience will be in for a real surprise to see how we have used Pogadhe Ennai Vittu in the film." So impressed is Madhavan with the film’s music that he has recommended Sam to his Bollywood friends. "It was nice of him to say that at a recent event, but I’m not really in any rush to go on a film-grabbing spree. I’m happy to do two-three films every year, with emphasis on quality. I consider myself really fortunate to have landed Vikram Vedha; the directors could have well opted for a more established name,"he says. Sam let go of a lucrative job in a corporate company to get into composing. "I always felt a calling for music. My grandfather was a musician too; so I guess it’s natural I was drawn to this," he says.